Uri Ha Ji Won at a press conference in Singapore. She’s always game to do an action-based drama or role, has no qualms roughing it out on a horse’s back for hours or sparring with her co-actors with sword in hand. That’s the Ha Ji Won we’ve all grown to know from her masculine-type roles on TV and movies that she’s so popularly known for in recent years, as seen in Secret Garden, Sector 7, The King 2 Hearts and, Empress Ki – just to name a few. But beneath that steely stare and masculine image she masquerades herself in, Ji Won is evidently characterised by these two words in real life: giggly and girlish. She’s easily tickled by the slightest remarks and self-proclaims to be the “most feminine” person amongst her school mates while growing up, during herEmpress Ki press conference yesterday, at Conrad Hotel. Candid in her words, Ji Won was very genuine and thoughtful with her answers, and she was more than ready to share a few beauty tips and tricks with the media, when the topic of her smooth complexion was brought up. And of course, filming in the great outdoors helped too, said Ji Won, with the copious amounts of fresh air she got at work. Playing a character who is caught in the middle of a love triangle with two kings (played by Joo Jin-mo and Ji Chang-wook) of two warring countries in Empress Ki, Ji Won was put in a spot when she was asked to name a fellow male actor whom she shares the most chemistry with. Explaining that she’s friends with her co-stars and still keeps in touch with them, she surmised, “I never had trouble with them or fought with them. So to really point out one person would not be nice to the rest (laughs) so I think I’d keep the comment to myself,” shrouding her answer in complete secrecy. While that’s a mystery we’ll never know the answer to, Ji Won namedrops a male actor whom she hopes to collaborate with again (and satiates our curiosity) in our interview with her after the press conference. Read on for more! Hyun Bin, Korean heartthrob starring in many popular dramas including “My name is Kim Sam-soon” and “Secret Garden,” received a special birthday present from his fans around the world. “HB International,” a world-wide fan club comprised of international fans from Korea, Japan and Hong Kong, decided to align affection for him with a good cause to help make the world be a better place, by donating a well to an arid area. The united fan club plans to present the “Hyun Bin Well” in celebration of his 33rd birthday which comes on September 25. “In order to commemorate his 33rd birthday, we prepared a special gift for him. The fan club will continue to do good deeds for him,” a member of the fan club said. 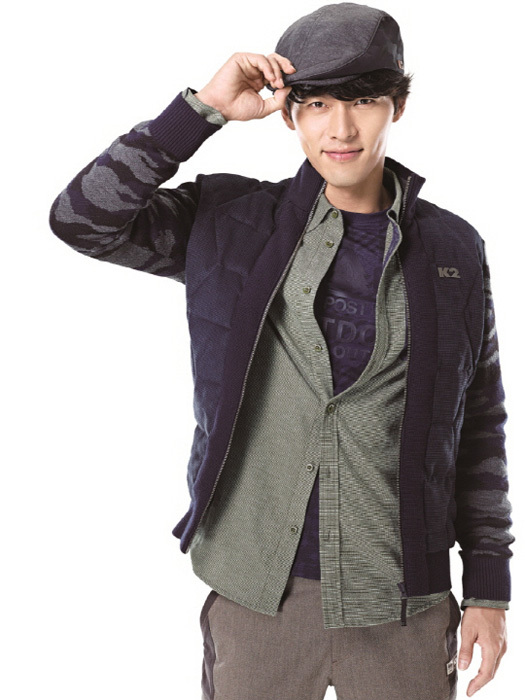 It’s Hyun Bin’s 32nd birthday, September 25, and guess what? His birthday just happens to fall on a Thursday this year, which means it’s “Throwback Thursday” time! What better way to celebrate both days than to look at throwback photos of oppa from his earlier acting days? 10. He had such a lovely looking tan back then! 9. This looks sooooo pre-debut. I’m glad we’ve moved on to better looks. 8. He looks so pretty here. His eyebrows look great. 7. The ugliest tie, but the best dimples in the world! 6. Such a baby face, but those lips! 5. Do you prefer him with or without the bang/fringe? 4. He’s barely smiling, yet still…the dimple!! 3. Ha! He looks like a hot college slacker here. 2. Try to look past the hair gel and bright shirt. 1. 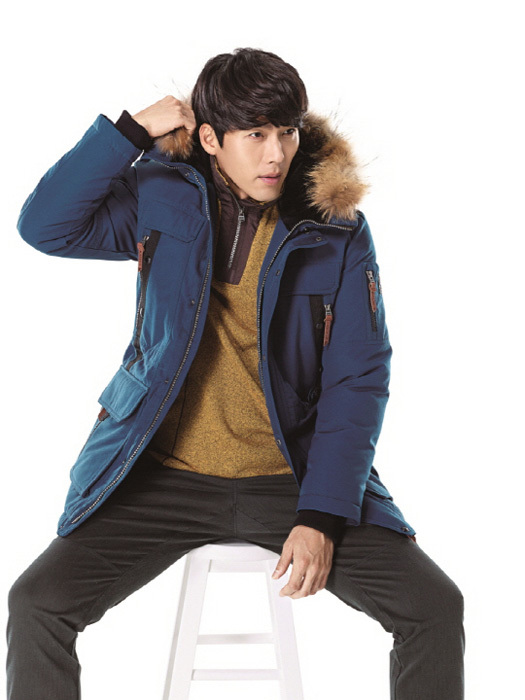 Happy 32nd Birthday Hyun Bin!!! 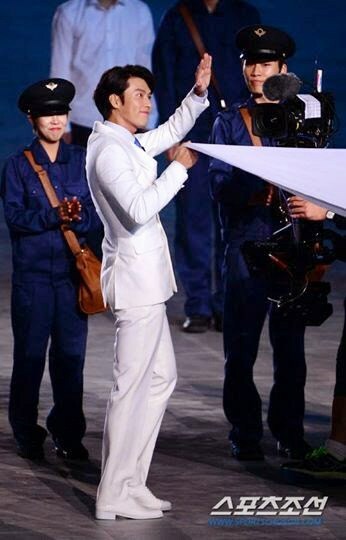 Our amazing namjah, Hyun Bin was chosen to be the Korean flag-bearer for the current Asian Games in Incheon. Binnie along with star golfer Park Se-ri, athlete Lee Bong-joo, track and field champion Lim Chun-ae, ballerina Kang Su-jin, Samho Jewelry captain Seok Hae-gyun, lawmaker Jasmine Lee and Um Hong-gil, mountaineer and the first Asian awardee of the Himalayan Crown were marching the opening ceremony with their white suits.. 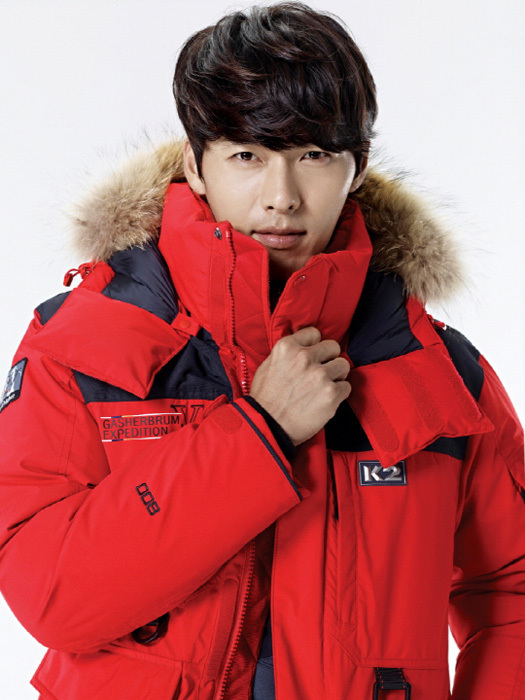 While the K2 specializes in outerwear, the brand is faced with the challenge of promoting the luxurious and sophisticated aspects of its f/w collection, but with Hyun Bin as the model, that’s an easy achievement! 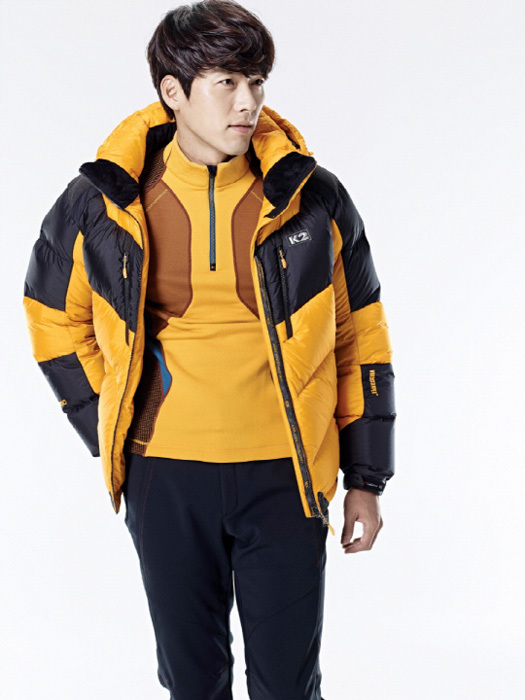 Outdoor brand ‘K2’ released its FW pictorial shoot of actor Hyun Bin. His sharp eyes and sophistication catch eyes of people. 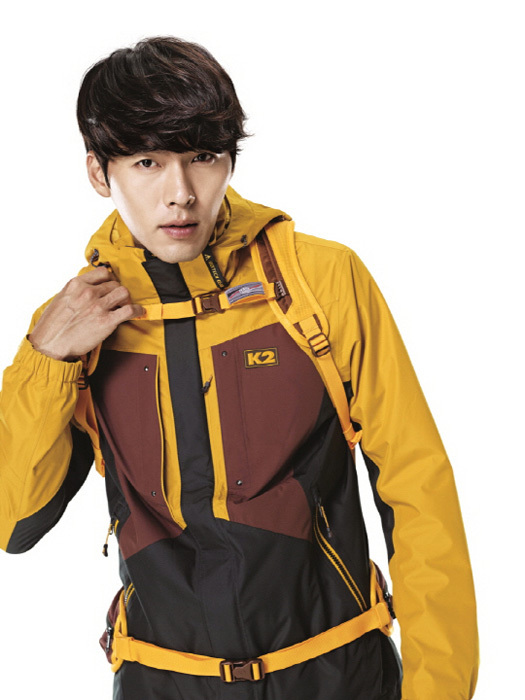 Hyun Bin showed perfect Fall outdoor looks in the photo shoot amplifying the luxury and captivating image of K2. K2 will provide advanced outdoor items that are practical and fashionable at the same time as well as products for professional this season. Our Ha Ji Won soon will be escaping to the outdoors and welcome autumn’s and winter’s chilliness since she’ll be bedecked in NorthCape’s F/W collection of jackets, coats, boots, hats, hiking and climbing pants, etc. Check her out in the outdoor clothing brand’s new ads! Ha Ji-won put on a trench coat. 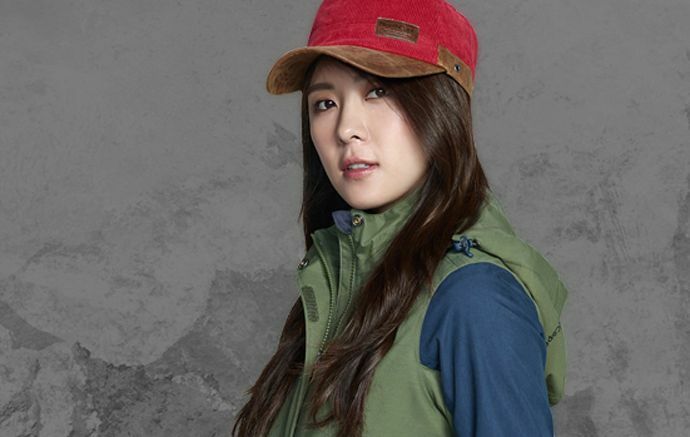 Crocodile Lady released the 2014 Fall collection with Ha Ji-won. The pictures show Ha Ji-won in a natural mix-and-match style. She’s wearing denim-like materials with a tweed jacket which looks natural and fall-like. On the other hand, other pictures of her are much lighter in make-up, contrasting the heavily made-up characters she’s shown us lately. The mustard colored trench coat she’s wearing also adds to Ha Ji-won‘s sophistication. Meanwhile, Ha Ji-won is setting out for her Asian tour starting in Taiwan this October. The cappuccino foam kiss in “Secret Garden” was such a classic k-drama moment that it’s hard to ever sip a latte without wondering if Hyun Bin is going to wipe the foam from your upper lip. In the “Secret Garden” scene he accuses Ha Ji Won of leaving the foam on her lip on purpose because it’s something girls do to get men to touch their lips. Of course Ha Ji Won’s character Gil Ra Im had no such intentions. Apparently that scene has had the same effect on k-drama writers because so many dramas pay homage to it. It happened again in “Discovery of Love.” It took place shortly after Yoon Hyun Min and Lee Seung Joon realized they were both in love with the character played by Kim Seul Gi. She had some foam on her upper lip and they both wanted to wipe it off. They might have suspected they were falling for her when their vision blurred and their hearts started beating erratically but it was the coffee foam kiss that sealed the deal. He tries to wipe away the milky foam on her lip but she beats him to it by wiping it away with her tongue. And that results in him getting all flustered. And the scene also had a parallel in “Queen Inhyun’s Man” when Ji Hyun Woo studied the coffee cream foam on Yoo In Na’s upper lip and tried to wipe it away. Since he was a time traveler from the Joseon era, she did have to introduce him to life in the modern world and that should include being up to date on k-drama’s most romantic moments. The scene has also been parodied outside of dramas. G-Dragon and T.O.P. of Big Bang once did it with G-Dragon playing Ha Ji Won’s role and T.O.P. taking Hyun Bin’s role. And many k-drama kiss scenes have tried to imitate the sweet moment. But none may ever be as memorable.